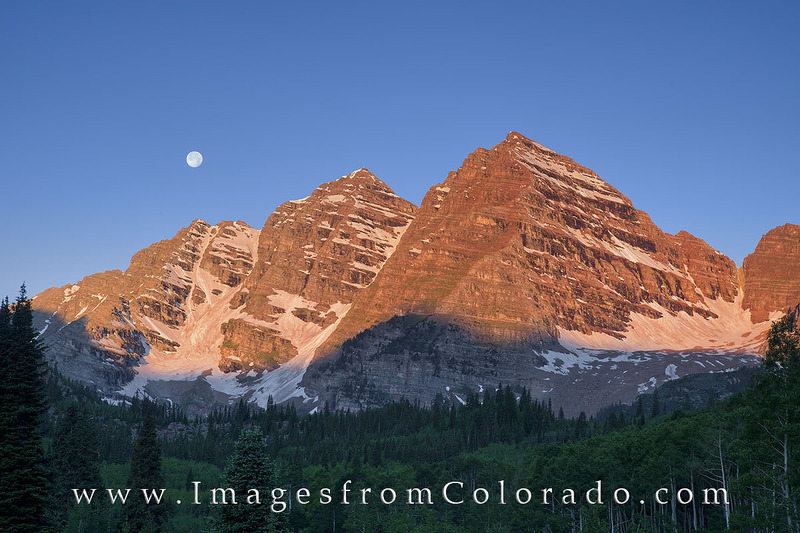 After arriving at Maroon Lake well before first light, I enjoyed watching the final descent of the full moon over Maroon Peak and North Maroon Peak. The moonlight illuminated the valley below in a glow of faint light. Later, as first light began to shine on the summits in front of me, I shot this image of the full moon just before it dipped below the rocky peaks. Photo © copyright by Rob Greebon.